The use of low-VOC capable, all-acrylic binders in consumer paints is common; however, they are less frequently used in high-traffic commercial and institutional coatings due to poor chemical and abrasion resistance. Through systematic design principles, design of experiment and six sigma methodologies, an all-acrylic binder has been developed to match or surpass a single-component, pre-catalyzed water-borne epoxy for chemical and cleaner resistance, as well as abrasion resistance and other hardness properties. Leveraging industry standard testing procedures, the improved performance of the new polymer was validated through benchmarking against high-performance commercially available paints in this market space. In addition, chemical and cleaner resistance was quantified at different time intervals for a better understanding of resistance performance. 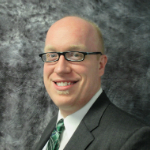 Tyler Bell is a research Chemist for new product development and innovation for Engineered Polymer Solutions. He received a Master of Science Degree in Polymers and Coatings from California State Polytechnic University, San Luis Obispo for his work on Dispersion Phase Diagrams for paint systems based upon latex particle size, and surfactant type and loading. Regulations and consumer demand are driving the industry to limit the use of volatile organic compounds (VOCs) in architectural paints. Current low-VOC high-gloss paints, when used with low VOC colorants, typically suffer from undesirable properties including perceived tackiness, poor early block resistance, and a susceptibility to permanent deformation under pressure. As a result, there is a market need for a low-VOC polymer that is capable of matching traditional 150 g/L VOC paints for hardness properties. A novel use of rheological methods was used to characterize and develop a new high gloss, low-VOC polymer. Tack performance was assessed by studying the linear viscoelastic properties via dynamic mechanical analysis (DMA) and imprint resistance was predicted by creep measurements. Compared to traditional methods for assessing these properties, the use of these rheological techniques is more quantitative and objective, while also providing insight into structure-property relationships. These techniques were used to characterize and validate the new polymer and benchmark it against commercial controls. Dr. Tessie Ewert leads numerous projects on EPS’s physical sciences research team. Her work provides a fundamental understanding of physical and thermal behavior of polymers and formulated systems, aiding new product development and providing customer support. She received her B.S. in Chemical Engineering from the Case Western Reserve University in 2010 and her Ph.D. in Chemical Engineering from the University of Minnesota in 2016. With a drive to lower VOCs, freshly coated exterior architectural paints can exhibit what is commonly known as surfactant leaching, where moisture can cause non-volatile water-soluble components in a paint formulation to leach out, leaving an undesirable residue on the surface of the dried coating. In this study, a design of experiments based on resin composition was performed to improve the surfactant leaching in exterior flat paints. Qualitative testing (i.e., visual observation) of the design does not adequately identify the main and interaction terms that drive surfactant leaching, whereas a newly developed analytical method to quantify the level of surfactant leaching identified several main terms and interactions that significantly impact performance. The design was also analyzed in the context of additional exterior performance attributes, including dirt pick-up resistance, tannin stain blocking, and performance on highly alkaline substrates (efflorescence). Factors driving the surfactant leaching performance were significant in impacting the other exterior performance data. From this design study, an optimized resin composition was developed with a strong balance of exterior performance properties. Dr. Robert Sandoval is a Senior Project Chemist at EPS, leading platform technology development across the different development groups, including architectural, industrial, and construction. He earned a B.S. in Chemical Engineering from Michigan Technological University in 2005 and a Ph.D. in Chemical Engineering from Northwestern University in 2010, focusing in polymer physics and engineering. Dr. Sandoval spent four years at Dow Chemical in their Core Research & Development group before joining EPS in 2014. His industrial research has focused on mixing and emulsification technologies and architectural coating formulations and testing. Levels of volatile organic compounds (VOCs) are being driven down across the paint and coatings industry in response to both regulation and customer demand. While the <100g/L VOC level has become well-established in the direct to metal (DTM) segment, new trends at <50g/L with improved performance are emerging. This significantly raises the technical complexity of resin design and requires novel waterborne acrylic polymers to deliver a robust balance of properties. In addition to lower VOCs, there is a market need to deliver improved corrosion resistance at lower (<1.5mil) film thicknesses. Building from an internal DTM design platform, an innovative <50g/L acrylic has been developed to advance corrosion resistance over commercial, higher VOC acrylics. At thin films, the new <50g/L development exhibits corrosion resistance approaching that of solventborne alkyds, bridging one of the major performance gaps between solventborne and waterborne technologies. A full balance of properties including broad spectrum metal adhesion, block resistance, gloss retention, and humidity resistance has also been achieved. A comparative benchmark study of waterborne acrylics and solventborne alkyds is presented along with a review of corrosion protection mechanisms. Dr. Allen Bulick is the Technical Manager of EPS’ Industrial & Construction groups focusing on polymer design and formulation for a variety of applications including direct to metal, industrial wood, roof coatings, and pressure sensitive adhesives. His background includes formulation science, and small molecule and polymer synthesis across several industries including Coatings, Electronic Materials, and Oil & Gas. Allen graduated with a PhD in Chemical Engineering from Texas A&M University where he studied tissue engineered vascular grafts. The conversion of solvent-borne paints, stains, and coating to water-based systems has increased noticeably in the past 10 years, with the performance of many of these water-based coating systems approaching that of the solvent-borne counterparts. With the continued shift to water-based coating systems, Point-of-Sale paint store and In-Plant tinting systems users are now faced with a decision to use Universal Colorants, or Water-Only Colorants. Through a series of benchmark tests, we have shown that Water-Only Colorants can provide important performance improvements such as lower VOC, reduced block and tack, lower surfactant leaching, and improved standing water resistance. These improvements provide manufacturers and retailers with additional support for converting their paint systems and colorants to Water-Only. Mark Ellsworth is the Technical Director of Global Colorants for EPS' Color Corporation of America where he leads new product development and existing product support activities for architectural and industrial colorants, including standardized testing to Coatings Industry and ASTM standards. Prior to joining EPS CCA, he was the Director of Technical Services at Sensient Colors in the Industrial Colors Division. Mark received his B.S. in Chemistry from University of Illinois and his Ph.D. in Chemistry from University of California, Berkeley. The mechanisms by which organic coatings protect metal surfaces from corrosion have received a significant amount of study in both academia and industry, with significant disagreement over which is of primary importance. Three of the most commonly highlighted film properties influencing corrosion resistance are barrier properties (water and O2 permeability), adhesion, and electrochemical impedance. Discrepancies between studies may arise for a number of reasons including differences in polymer chemistries, test methods, and conditions. In order to develop a mechanistic model specific to a particular chemistry, a focused study of 21 styrenated acrylic resins in clear formulations was conducted in an effort to correlate film properties with corrosion resistance on flat, bare, cold rolled steel. The implications of formulation choices, e.g. pigment volume concentration (PVC) and extender particle size, were also investigated. The findings of these studies were then leveraged into development of a next generation, styrenated acrylic direct to metal (DTM) resin capable of being formulated at < 50g/L VOC. Dr. Allen Bulick is the group leader for EPS’ Industrial Resins which focuses on polymer design and formulation for a variety of applications including DTM, industrial wood and traffic marking. He currently oversees a portfolio that includes solventborne alkyds and modified alkyds, water reducibles, PUDs and waterborne styrenated acrylic latexes. He has a background as a research scientist in small molecule and polymer synthesis and formulation across several industries including Coatings, Electronic Materials, and Oil & Gas. Allen graduated with a PhD in Chemical Engineering from Texas A&M University in 2009. Design of waterborne styrenated acrylic resins for metal protection requires balancing a multitude of often competing properties. An extensive benchmarking study of polymers and commercial paints revealed a significant gap in delivering both good corrosion resistance and a robust wet and dry adhesion profile across multiple metal substrates. Early attempts at in-house prototype development yielded similar results. The adhesion/corrosion balance drove an investigation into the fundamental mechanisms by which acrylic polymers both adhere to substrates and inhibit corrosion. Film properties such as adhesion, hardness, barrier properties, and electrochemical impedance were measured and correlated with corrosion resistance on bare cold rolled steel in ASTM B117 salt fog. Leveraging the structure/property relationships derived from this work, a next generation styrenated acrylic DTM was developed targeting the industry gap of corrosion resistance and adhesion. Additionally, formulation effects on corrosion performance from pigment volume concentration (PVC) and extender selection were evaluated. ADH-Free Water Based Binder for Lazure Coatings - EU Ecolabel Compliant. The European Union as well member countries has introduced awards such as EU Ecolabel to enhance the use of products that have a reduced environmental impact. Paints and varnishes represent one of the top categories for which awards were assigned. Therefore any supplier of chemicals into the coatings market has to ensure that low environmental impact materials are used. Adipic acid dihydrazide (ADH) is a widely used cross-linker in acrylic emulsions. The CLP classification of ADH has recently been revised as toxic to aquatic life. Nevertheless the use of ADH in acrylic emulsion/dispersion has been derogated to a maximum level of 1,0% w/w. The reason given is that equally efficient and effective alternatives are not yet available on the market. EPS has developed a unique solution that shows the same block resistance and other properties as standard binders containing ADH. Cor Beyers is the Technical Polymer Director Europe for EPS based in Rotterdam, The Netherlands. He received his PhD in Polymer Chemistry in 2003 from the Technical University of Eindhoven in the Netherlands and in 2015 he completed his MBA at the University of Stellenbosch in South Africa. In 2003 he started as Laboratory Manager at BASF in Ludwigshafen in Germany after which he moved to Product Development end then to Technical Service and New Business Development. In 2011 Cor left BASF and moved to South Africa to head Research at Kansai Plascon. 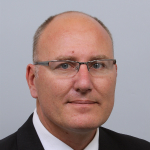 In 2014 Cor took the position of Technical and Operations Director at PPG in Johannesburg. Massimo Longoni is a Technical Service Chemist at EPS, leading the activity to support industrial wood customers. He earned his B.Sc. in Organic Chemistry from University of Milan in 2003 and obtained a Master degree in Formulation and Composite Materials from the University of Milan in 2004. 12 years of experience working in the coatings business first as R&D specialist and then in sales, he joined EPS at the end of 2014. The main focus of his industrial research work is in wood coating. The use of volatile organic compounds (VOCs) in water-based paints and colorants is being increasingly regulated due to their environmental impact. Current <50 g/L high gloss paints when tinted with high levels of low VOC colorants suffer from poor early block and tack resistance, hardness, and scrub resistance. Consequently, there is a market need for <50 g/L VOC high-gloss all-acrylic latex paints that can be formulated in a clear base with colorant to match 150 g/L VOC performance paints. However, measuring the tack of a paint coating is inherently difficult with current testing methods, slowing product development times. A new high scrub, <50 g/L VOC capable high-gloss, all-acrylic polymer has been developed to address this market need, which uses a novel testing method for an objective, quantitative, and reproducible way to measure the surface tack of a coating. Using this technique, structure/property relationships were determined and paints with the newly developed high-gloss polymer were tested and compared to 150 g/L commercial benchmarks. Maximizing the gloss retention and dirt-pickup resistance (DPUR) is a key requirement for many exterior architectural coatings and is a target that many commercial paints struggle to meet. In this study, the exterior durability of a range of resins and paints were evaluated. In particular, for DPUR, an accelerated testing method is compared to exterior exposure data collected from Midwest and West Coast test fence locations. The location of the exterior exposure is shown to have a large impact on the ability to discriminate DPUR performance between paints/resins in a short period of time. Paints that have a similar DPUR performance when they are exposed at the Midwest location show much larger differences when they are exposed at the West Coast location in as little as 3-4 months. Several accelerated DPUR testing protocols (1 week procedure) are also performed, and while many samples perform relatively similar, some discrepancies are noted. These results underscore the impact that the exterior exposure location/testing protocol has on DPUR. In the second part of this study, the gloss retention is evaluated by an accelerated QUVA protocol and compared to exterior exposures. The accelerated QUVA method can discriminate between formulas in a shorter period of time (4-8 weeks) and tends to agree well with longer-term exposures (> 1 year) from the West Coast. Design of waterborne acrylic and styrenated acrylic resins for metal protection requires balancing a multitude of often competing properties. One classic example is attempting to maintain hardness and block resistance while simultaneously reducing the volatile organic content (VOC) demand of waterborne paints. During a recent new product development project, another recurring tradeoff emerged – attempting to deliver a robust adhesion profile while maximizing corrosion resistance. The adhesion/corrosion balance drove an investigation into the fundamental mechanisms by which acrylic polymers both adhere to substrates and inhibit corrosion. Topics such as the role of barrier properties, passivation via adhesion and electrochemical impedance are covered with respect to polymer composition and the role of acid monomers. Applying these learnings, several newly designed polymers are discussed to illustrate the level of corrosion resistance that high performing styrenated acrylics can achieve. The furniture business has gone global. Today coatings manufacturers sell their products worldwide whether to multinationals or to local producers. In the past wood was the main substrate for furniture but now engineered woods are used in almost all markets. The end use application drives the performance requirements & in addition the substrate throws up a range of different new problems. 1K self-crosslinking water-based acrylics are easy to use and formulate. They are common binders for clear transparent coatings but it is difficult to formulate 1K pigmented topcoats with high chemical resistance. The EPS technical center in The Netherlands has conducted extensive research to identify the interactions that drive chemical resistances in 1K acrylics white pigmented topcoats, the limits of this technology and to understand the influence of substrates and coating cycles on final performance. Presented at the International Woodcoatings Congress, October 25-26, 2016. The use of volatile organic compounds (VOCs) in water-based paints and colorants is being increasingly regulated due to their environmental impact. Current <50 g/L high gloss paints when tinted with high levels of low VOC colorants suffer from poor early block and tack resistance, hardness, and scrub resistance. Consequently, there is a market need for <50 g/L VOC high-gloss all-acrylic latex paints that can be formulated in a clear base with colorant to match 150 g/L VOC performance paints. A new low-tack, <50 g/L VOC capable high-gloss, all-acrylic polymer has been developed to address this market need. Paints with the newly developed high-gloss polymer were tested and compared to industry leading commercial polymers and paints of various VOC levels. Is maintaining a balance of properties between corrosion, hardness and block an ongoing challenge? Is working within a narrow formulation latitude causing you to use multiple resins and expensive additives for your product line? Is formulating to meet VOC restrictions limiting your product performance? EPS® Next Generation <100 g/L DTM emulsion bridges the gap between these issues, improving your product development cycle. Learn more about this versatile resin by viewing our webinar presented by Dr. Allen Bulick of EPS Materials. Presented May 5, 2016 on UL Prospector. The use of volatile organic compounds (VOCs) in water-based paints and colorants is being increasingly regulated due to their environmental impact. Current <50 g/L high gloss paints when tinted with high levels of low VOC colorants suffer from poor early block and tack resistance, hardness, and scrub resistance. Consequently, there is a market need for <50 g/L VOC high-gloss all-acrylic latex paints that can be formulated in a clear base with colorant to match 150 g/L VOC performance paints.However, measuring the tack of a paint coating is inherently difficult with current testing methods, slowing product development times. A new high scrub, <50 g/L VOC capable high-gloss, all-acrylic polymer has been developed to address this market need, which uses a novel testing method for an objective, quantitative, and reproducible way to measure the surface tack of a coating. Using this technique, structure/property relationships were determined and paints with the newly developed high-gloss polymer were tested and compared to 150 g/L commercial benchmarks. As customer needs and regulations drive VOC demands lower, difficulties arise when attempting to balance the multitude of film properties that consumers require. Currently, the lowest VOC restriction for waterborne industrial maintenance coatings is 100g/L, which can be a challenging target for coatings designed to offer substrate protection in addition to aesthetics. Traditionally, polymer hardness has been sacrificed through Tg reduction to ensure film formation at a reduced solvent demand. This can have a significant impact on film hardness, block and tack. Delivering high VOC performance at <100g/L requires balancing often competing properties. This can be accomplished through systematic polymer design optimizing all polymer composition and processing components in conjunction with formulation strategies. A next generation 100g/L-capable styrenated acrylic resin designed to meet these needs is discussed in comparison to current technologies. In addition, a review of direct to metal (DTM) polymer design and formulation is presented along with expected tradeoffs when attempting to emphasize certain coating properties. Methodologies for determining VOC levels in paints and coatings have historically been based on EPA Method 24. This method remains the industry standard, however there are new analytical methods that potentially allow for a more accurate determination of volatiles and VOC content in paints and coatings. ASTM Method D6886 and other similar gas chromatograph-based methods are gaining preference for determining VOC of low- and zero-VOC coatings. South Coast Air Quality Management District (SCAQMD) is proposing their Method 313 which is also a gas chromatograph-based method that utilizes a methyl palmitate boiling point marker to separate VOCs from non-VOC compounds. While these new methods may provide improvements in the precision of VOC determination of very low VOC products, they also introduce new potential problems when analyzing fully formulated paints. When employing a gas chromatograph-based method, popular additives including biocides, humectants, colorants, photoinitiators, and low-VOC coalescents may be identified as VOCs due to their having retention times less than the methyl palmitate boiling point marker. There is also additional uncertainty which requires validation of possible by-products produced in the heated inlet of the gas chromatograph arising from various compounds commonly used in paint formulations. This presentation will compare EPA Method 24 with the ASTM D6886 method and show results of low- and zero-VOC paints and additives when analyzed using the ASTM D6886 method with the methyl palmitate marker. It is important that those who develop, formulate, and manufacture paints and coatings understand the potential VOC implications that these new methods may have on current and future products. Dave Nevison is a Scientist with EPS, working in the Material Science Research Group located in Minneapolis, Minnesota. He has more than 30 years of analytical experience, in roles ranging from Chemist to Lab Manager, and in the development of methods for the analysis of paints and coatings. He has worked extensively on VOC-related testing including wet coating and emission chamber analyses. Dave is a member of the ASTM Committee D01 on Paint and Related Coatings and the AIM VOC Committee. Dave is a graduate of Hamline University in St. Paul, Minnesota. New developments in European Eco-label compliant high performance, universal, water-based acrylic primer resin technology now enable the coatings formulator to achieve high quality primer coating products for a wide range of substrates. The new primer resin technology has wide applicability as a vehicle to block and cover many items including: tannin rich wood such as western red cedar or oak, common household stains such as nicotine, water and smoke damage on a multitude of substrates like gypsum, dusty cement/concrete, paper, non-ferrous and ferrous metals, and a variety of plastics such as PVC. Focus is placed on factors including: reduction in paint manufacturing complexity, fast dry/overcoatability, low environmental impact, and performance and durability without the need for hazardous materials such as zinc oxide and volatile or semi-volatile organic compounds. Mike Wildman is the Technical Product Manager for Architectural Coatings at EPS Materials in Marengo, IL. Mike has over 30 years of experience formulating interior and exterior house paints for the Deco market with significant expertise in polymer designed for primer use. Mike holds a MBA from Roosevelt University in Chicago, Illinois. Garage floor paints and sealers formulated from one-component water-based acrylic resins offer many advantages to the DIY market over two-component water-based or solvent-based products. One-component systems are easy to apply, environmentally friendly, cost effective, and produce non-yellowing protective films with good abrasion resistance, but generally suffer from poor wet adhesion when exposed to standing water, as well as inferior chemical/stain resistance and hot tyre pick-up. New developments in Eco-label compliant, one-component water based acrylic resin technology now allow coatings formulators to overcome many of these issues associated with current commercially available one-component water-based concrete sealers and paints. Dr. Andrew Hearley is the Research & Development Manager for Engineering Polymer Solutions (EPS Europe). A graduate of King's College, London with a Bachelor of Science degree, he also holds a PhD from the University of Cambridge. He has over 14 years experience in water based polymer chemistry, with DuPont Performance Coatings,Germany and Synthomer, UK. Part II of this series illustrates the utility of dynamic mechanical analysis (DMA) for understanding mechanical properties of sealants in the cured state. DMA provides quantitative cured sealant material properties as a function of temperature and frequency and serves as an informative, efficient method for gaining insight into cured sealant responses to stress. This presentation will demonstrate the relationship between DMA measurements and Hockman cycle testing (ASTM C719) utilizing two representative samples: one that passed and one that failed Hockman cycle testing. The understandings gained from DMA significantly accelerate sealant development and drive product differentiation. Dr. Carrie Street leads EPS’s physical sciences research team. Her work provides a fundamental understanding of physical and thermal behavior of polymers and formulated systems, aiding new product development and providing customer support. She received her B.S. in Chemical Engineering from the University of Oklahoma in 2007 and her PhD in Chemical Engineering from the University of Delaware in 2012. Part I of this series reviews the scientific fundamentals of rheology and its use as a valuable tool for sealant formulation. Through quantitative measurements of sealant structure and flow behavior, rheology provides the formulator with an understanding of the relationship between formulation components and their impact on application properties. This presentation will demonstrate the relationship between raw material selection and the rheological and application properties of formulated sealants and compare to the properties of benchmark sealants. Experimental formulation components studied include pigment to binder ratio, surfactant loading, amount of solvent, and amount of rheological modifier. The understandings gained from rheology significantly accelerate sealant development and drive product differentiation. EPS 293 Article - Pitture e Vernici - January 2014 Garage floor paints and sealers formulated from 1K water based acrylic resins offer many advantages to the DIY market over 2K water or solvent based products. They are easy to apply, environmentally friendly, cost effective, and produce non-yellowing protective films with good resistance to abrasion. However, 1K acrylics in general do suffer from poor wet adhesion when exposed to standing water, chemical/stain resistance and poor hot tyre pick-up. In this paper, a new 1K water based acrylic resin is presented that overcomes many of the issues associated with other commercially available 1K water based concrete sealers and paints available on the market today. Improved quantitative test methods to guide the development of waterborne pressure sensitive adhesives (PSA) would significantly improve development quality and speed. Current limitations are due to challenging sample preparation, large potential measurement error and considerable sample test time. This paper highlights the use of rheological techniques to specifically identify discrete waterborne PSA attributes, such as high tack or shear resistance, and design PSA chemistry using rheology-based models to more quickly achieve a product with the desired balance of PSA performance properties. The effects of monomer type, chain transfer agent concentration and addition method were studied in a generic PSA composition. PSA performance was determined both by FINAT test methods for loop tack, 180° peel adhesion and shear resistance and by linear viscoelastic analysis using a rheometer. Bulk viscoelastic behavior correlates well with the measured tack and shear values and provides a better understanding of the influence of formulation variables on PSA properties. Additional modeling is required to correlate peel adhesion tests between FINAT testing and linear viscoelastic analysis. Dr. Jason Ness is a Senior Scientist with EPS-Applied Polymer Science and Technology, working in Minneapolis, Minnesota. He is responsible for new water-based polymer technology and strategic platform developments. Jason holds a Ph.D. in Polymer Chemistry from the University of Minnesota and has 13 years industrial polymer chemistry experience.